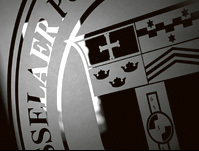 Procurement Services assists the Rensselaer community with the purchasing and acquisition of goods and services. We aim to provide responsive, efficient, and timely acquisition of quality products and services at fair and reasonable pricing, consistent with Institute requirements and Federal guidelines. Please refer to the Procurement Services Policies and Procedures for complete information. For more directions to our office at 90 4th Street, please click here. For all inquiries related to Procurement and the OSCAR system please contact: procurement_support@rpi.edu.